This is the CD-ROM Only version of this useful title. By an engineer with decades of practical manufacturing experience, this book is a complete modern guide to sheet metal forming processes and die design – still the most commonly used methodology for the mass-production manufacture of aircraft, automobiles, and complex high-precision parts. It illustrates several different approaches to this intricate field by taking the reader through the “hows” and “whys” of product analysis, as well as the techniques for blanking, punching, bending, deep drawing, stretching, material economy, strip design, movement of metal during stamping, and tooling. While concentrating on simple, applicable engineering methods rather than complex numerical techniques, this practical reference makes it easier for readers to understand the subject by using numerous illustrations, tables, and charts. • Emphasizes the influence of materials as an aid to understanding manufacturing processes and operations. various die operations and performance evaluation. • Shows the comparative advantages and liabilities for each manufacturing process and operation. 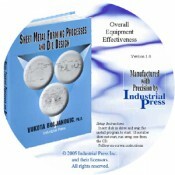 • Offers a complete picture of the knowledge and skills needed for the effective design of dies for sheet-metal forming processes highlighted with illustrative examples. Provides properties and typical applications of selected tool and die materials for various die parts.